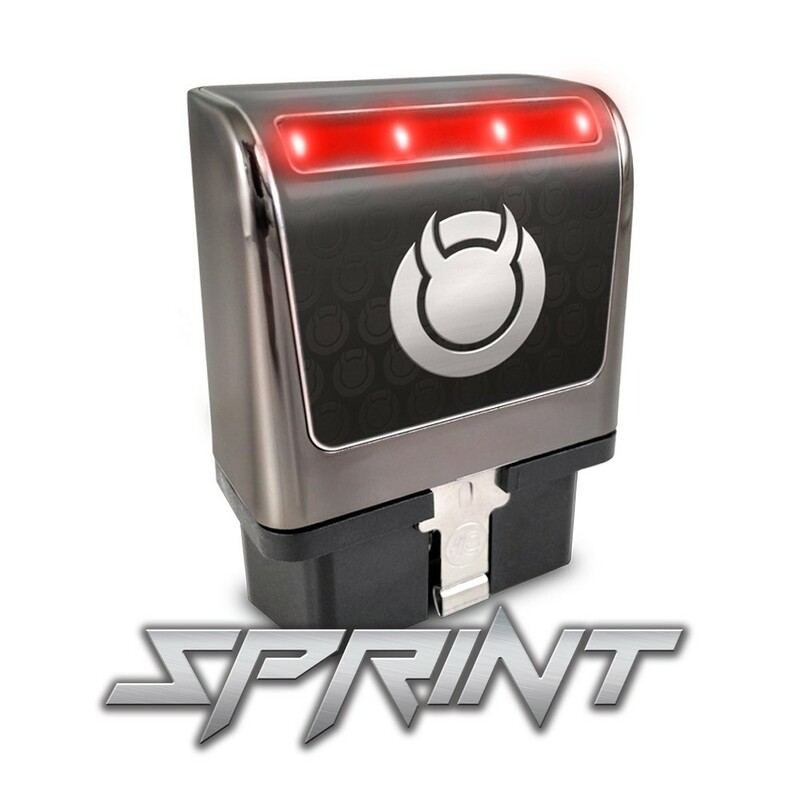 Sprint Active Fuel Management Module is rated 4.6 out of 5 by 76. Rated 5 out of 5 by FastSS from Sprint review I bought one of the competitors units from a 3rd party vendor but they were on the approved vendor list so when I started have problems with it I contacted R@#&e who told me I had to work with S%$#t and neither one wanted to help me out, I gave the thing away to a NNBS owner and it worked fine for him, the Sprint I bought from Diablo has worked flawlessly in both my 2016 Silverado and 2014 Camaro SS, thanks for a great product , I highly recommend it for the person who only desires to rd their ride of the evil AFM without voiding their warranty. Rated 4 out of 5 by Jason B from 2017 Camaro SS I was feeling the hesitation regularly at cruise on a slight incline. I bought the Sprint and installed it. Easy install, lights on it go dark when car is off and locked, so it looks like no battery drain. Car stays in V8 mode now, no fault lights or indications. Reason I only give it 4 stars is it didn't totally eliminate the hesitation. It still happens, but rarely now. Could possibly be something else causing it. Power feels good all the time now. Haven't really noticed fuel economy decrease, although I do a lot of rush hour driving. Definitely recommend to any Camaro SS owner. Rated 5 out of 5 by Peter from Does what it says! I bought this hoping it would just get rid of the Active Fuel Management, but it did so much more. My Engine is running better, I gained about 2-3 MPG from the stock config, no more stupid exhaust buzzing, and dare I say a tad bit more power from my truck. I also took it out and put it in my wife's rig and it worked great in there as well. I would highly recommend it! Rated 5 out of 5 by coal farmer from easy to install my gmc sierra was always downshifting in 4 cylinder mode and drive train would clunk in town on downshifts. and it used oil. The diablo sprint module helped with oil usage and it also stopped ruff downshifts.after I put module in it. It runs smooth now and goes up hills effortlessly without downshift at 60 miles a hour. I am 71 and I really would recommend this to gm 5.3 owners. I have been leaving it plugged in up to three days setting in garage and it has not drained my battery. Thanks diablo. I am a lot happier with my gmc now. Rated 5 out of 5 by Joshyanez from Works flawlessly I bought this for my 2016 camaro ss. This thing works like a charm, not cels or weird issues. Over 1000 miles driven installed, turns off with ignition turned off. Going to send everyone that has a gm that hates afm to get one from diablosport. Rated 5 out of 5 by Lube from Worth every penny Had problem with gmc 5.3l fouling plugs and burning oil during hard acceleration from v4 mode. Changed plugs and plugged the sprint unit in. No more oil burning, No more fouled plugs, and better performance. Win all the way around. already told all my friends with AFM DOD about it. Thanks. ALL I WOULD LIKE TO DO IS GET PAST THE 98 MPH SPEED LIMITER. DOES THIS PRODUCT DO THAT? I noticed warning on the box to not leave plugged in for over a day bc it may draw power if the vehicle is off. I know that on my 07 Sierra the led on the device is only on if the vehicle is on so my question is does it only draw power when the led is on? The Sprint module has a very small battery draw when the vehicle is off and in &quot;sleep&quot; mode. This is because it needs a monitor running to catch when the vehicle is started. This small draw is not enough to adversely affect battery life or drain the battery unless left in place for an extended period of time. Does this change the shift points? I bought it for my 2010 Silverado and it seems to drive so much better now. I actually feel like I'm driving a truck now. Is there a special starting sequence? On the GM vehicles, there is no special sequence. We do have a timing obstacle that has to be addressed on the Dodge vehicles but the GM doesn't have that kind of issue. Yes, this will work for that vehicle. If you are wanting to go with something that isn't going to add power but rather just turn off the factory active fuel management feature where it goes down to 4 cylinders, then this is the perfect product. If you are wanting something that adds horsepower, you may want to look to the 8245 inTune i3 Platinum as it will give you active fuel management features along with horsepower gains and a host of other options. I bought a new 2018 GMC SIERRA DENALI WITH A 5.3 Will this void my warranty? The Sprint should have no effect on warranty whatsoever. It doesn't modify the vehicle and when you remove it from the vehicle, there is no trace that it was there. I'd just recommend removing it from the vehicle prior to taking the vehicle in for service. When I plugged this into the OBDI port on my 2013 Camaro SS and started driving I got an error code: Oil pressure low - stop engine. It only produces that code when the Sprint AFM module is plugged in.Is there something I can do to prevent the error code?